For 20 long years, Carla Brooks was always there to care for her husband Karl following his stroke. Then after two decades of devotion, Karl passed away last year leaving his wife heartbroken and lost. 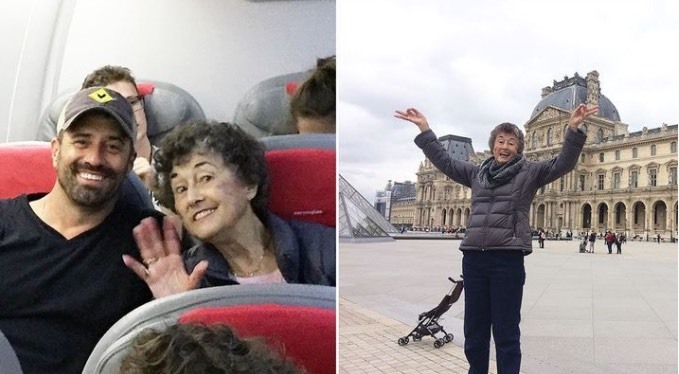 So as a way of healing his mother’s pain, Barton Brooks and his partner Gregg Goodbrod are taking her for 20 different European adventures – one for each of the years that she spent caring for his father. This won’t be the first time that Carla has traveled for therapeutic reasons either – she had been engaged to another fiancé before Karl, but then just before the wedding, she discovered that he had been unfaithful to her. The young woman took all the money meant for the marriage and backpacked Europe for a solo months-long adventure. The trio’s travel blog, The Little Girl From Kansas, is open to suggestions for their grand tour and will be posting weekly updates documenting their 20 adventures.